Canberra may not be on the top of everyone’s places to visit list, but if your looking for a reason to visit the nation’s capital why not plan a trip for October this year and also catch the Out & Loud Choral Festival. Bringing together LGBTIQ+ choirs from all over Australia and New Zealand, the Out & Loud Choral Festival is a celebration of shared values, inclusion and song. Out & Loud happens every three years and is the only Australasian gathering of LGBTIQ+ choirs. The festival will be held from 24 to 28 October, welcoming visitors from across the continent to make some fabulous music, to celebrate our voices and our diversity. 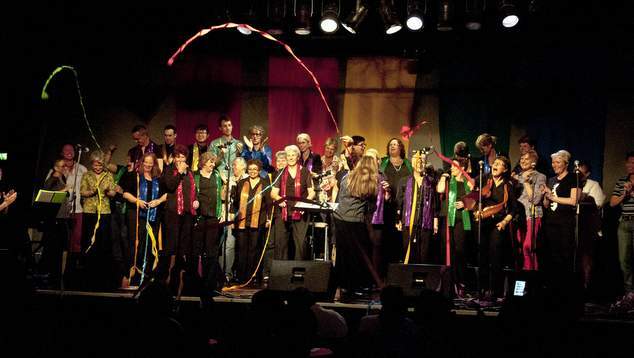 Perth’s Gay and Lesbian Singers of WA will be taking part in the festivities, the local community group is currently celebrating their 25th anniversary. Canberra Gay and Lesbian Qwire is excited to host the festival and is gearing up for a spectacular celebration of choral music and queer culture. Canberra local Stephen Leek—one of Australia’s foremost choral musicians—will conduct a massed choral performance featuring over 500 voices. A highlight of their performance will be a piece commissioned for this festival from ARIA Award-winning composer Sally Whitwell. Complementing the high calibre of musical expertise of Leek and Whitwell will be choral experts from Canberra and beyond who will lead a series of exciting workshops for Out & Loud delegates. The festival will culminate with a Gala Concert– open to the public- at Llewellyn Hall on the 27 October.